Bayonne youth are petitioning the Bayonne City Council to recognize the Green New Deal. In communities across the country young people are reckoning with the environmental consequences of the industrial economy they inherited. 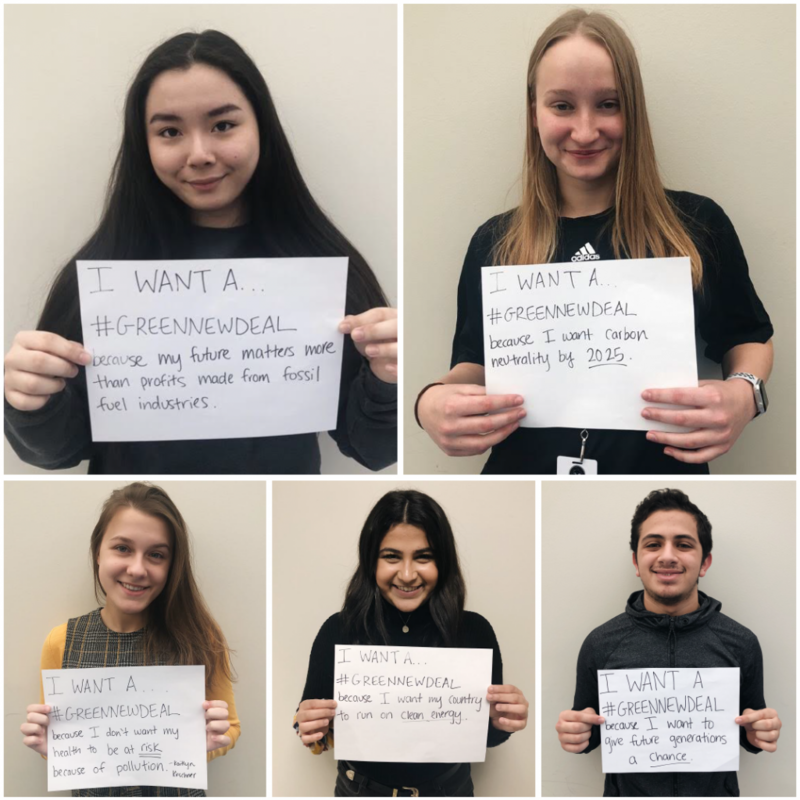 In Bayonne, five students are circulating a petition for the Bayonne City Council to formally recognize the Green New Deal, a set of policies supported by young congressional progressives in the Democratic Party. The students cite the many studies warning of catastrophic outcomes from human-caused climate change, especially one authored by the United Nations Intergovernmental Panel on Climate Change that reports global warming must be kept to a maximum of 1.5 degrees Celsius, or in a dozen years the planet will see worse droughts, floods, extreme heat, migration crises, and poverty. It concludes that urgent and unprecedented changes are needed. The global scale of climate change usually nudges the debate to the national stage, but the students, along with environmental groups throughout the region, have ignored such trends. Various groups are going local by advocating for green infrastructure, such as rain gardens and permeable surfaces, more trees, and policies that discourage the combustion of fossil fuel as well as the sale of plastic. The students praise Hoboken’s goal of carbon neutrality by 2027 and hope that Bayonne will adopt similar goals. Exact details of the Green New Deal have yet to be fully worked out, but the broad concept is simple. The deal, not coincidentally reminiscent of the New Deal of the 1940s, would be a massive federal investment in green infrastructure and clean-energy jobs meant to de-carbonize the economy and make it more fair and just. The students say an established mindset in American culture is one of the biggest obstacles to change. Whether a business mindset that rewards retailers for selling single-use plastic or commuters for emitting carbon by driving cars, they say a shift in collective mentality is paramount. The high school students may not be in Bayonne to see the fruits of their efforts, but they hope to affect a cultural shift among youth that encourages greater civic engagement on the issue. “Hopefully younger generations can assume this role with a new group of kids to push the council consistently,” said Chung. “It’s our only option,” Ibrahim added. The students are part of a national organization called iMatter Youth Movement, which encourages students nationwide to drive aggressive climate policy at every level of government. Students nationwide are submitting similar petitions to their city councils. If they garner more than 300 signatures on the petition, the students will present it to the Bayonne City Council on Feb. 20.